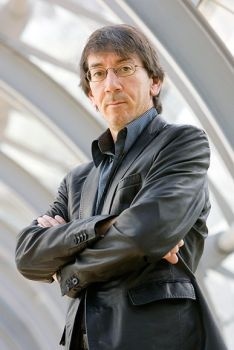 Will Wright Says Wii is Part of the "Toy Market"
Sims mastermind Will Wright says the Nintendo Wii has been so successful because it's managed to differentiate itself from the PS3 and 360 as a "toy," a design choice he describes as being "very good for the industry." Wright certainly isn't the first person to describe the Wii as a toy, but he may be one of the few to do it without any underlying sneer. "I think the Wii is a very unique platform, and that's kind of its core value. That's why it's been so successful - because it's pretty clearly different than the Xbox or the PlayStation," he said in an interview with GamesIndustry. "I think the Wii provides very fun experiences for the most part, but it's kind of a different level of experience; it's not like these 40-hour involved RPG games as much as it is like these fun toys to pick up and start playing in five minutes," he continued. "And it's really fun with a group of people sitting around... It really is more into what I would call the toy market, because most of the Wii games I've enjoyed felt more like toys than like games." Wright, of course, knows something about the relationship between games and toys. His most famous projects feature plenty of both and his new venture, Stupid Fun Club, looks set to advance that integration even further. So when he talks about Nintendo consciously focusing on that market, you know he's not being dismissive. "Nintendo decided to lean younger and they took the industry in a really interesting direction, where we have games appearing on the Wii that people never would have dreamed of five years ago," he said. "And that broadened the market in really interesting ways. I think it's kind of cool that they decided to go off and find a different sandbox to play in; I think it's been very good for the industry."